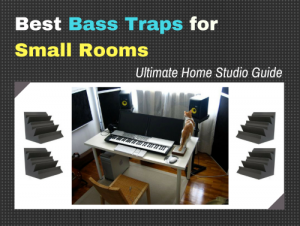 Let’s get your room sounding right with the best bass traps for small rooms. Quick answer: For a cheap and quick solution, we recommend the 12” x 7” acoustic bass traps by Foamily. If you need something thicker, check out the Auralex Acoustics LENRD. But if you feel you need some serious medicine for the bass resonance of your room, get these pro bass traps by Ultimate Acoustics. Why small rooms? These are often the most troublesome kind of rooms when it comes to room acoustics. Not only that, most music being produced often come from a bedroom or a re-purposed office space these days. And most of the time, they don’t quite have the room volume to manage the bass build up that will occur in these spaces. And as you may have realized, this bass build-up can lead to a lot of problems when trying to get the right balance in your mixes. So will take a look at the most recommended options out there for small rooms, after a quick overview. A small room’s bass resonance is often the forgotten culprit of inaccurate mixing. Even with great studio monitors, some level of room acoustic treatment will be necessary. If you’re having production issues that makes your audio sound differently in other locations than your recording studio, it’s probably the lack of bass traps. Bass traps, also known as ‘bass absorbers’, are used to adjust frequencies in a room by absorbing the resonant buildup that are caused by bass in a small room. Even in a regular room, bass traps help you to get the true sound of the music for mixing, as every room has its own unique edges and shape, which slightly influences audio input and output. However, placing your bass traps is another important procedure. We covered this in this in a post on where to place bass traps. But in brief, putting them in the wrong location will make them simply ineffective. So where to you mount your bass traps when you get you get them? Low frequencies build up in the corners of a room, since sound waves will follow alongside any hard surface, i.e. your wall. So Placing bass traps in the corners of a room is the best place to start in order to remove any excess bass build up. It seems crazy until you start thinking about sound waves as a physical thing. Sound can be carried by the wind, or ride alongside hard surfaces. Once you grasp this concept, you’ll understand exactly how important bass traps are. Read this article for a better understanding of bass trap placement before you buy. A perfect setup for bass traps in a room is to have all 4+ corners covered with triangular or flat-surfaced traps in order to make the sound travel smoothly. 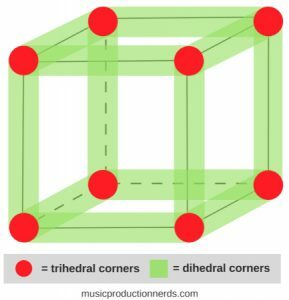 Sound waves have nowhere to build up if the corners aren’t there. Now, let’s take a look at the best bass traps for a small room. 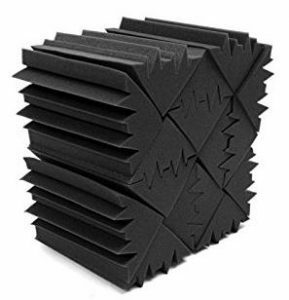 The Acoustic Foam Bass Trap Studio Corner Wall 12″ X 7″ X 7″ (4 PACK) by Foamily is one of the best beginner bass trap sets for cheap for a small room. Their unique, professional design ensures that you won’t have an excess low frequency build up in the corners. Made of high-quality foam, all excess reverb is also blocked out. Simply stack these bass traps on top of each other for maximum effectiveness. You can also just plug up the 4 deepest corner in the room until you get another set. Unique design prevents excess bass build up. Small enough for podcast booths and homemade studios. Easy to use, malleable design. Consumers absolutely love the simple, low cost efficiency of these bass traps. They also love how small the traps are, since they work perfectly for miniature home podcasting studios as well as home recording studios. Foamily provides excellent customer service to prevent any shipping errors or damage to the product. If you’re looking for a small, affordable, and effective set of bass traps, this is a good a good choice. Read the buyer reviews on Amazon. Burdurry’s insulation bass traps are perfect for anyone looking to cover a smaller corner area. They’re 9.5” x 4.6” x 4.6”, and they stack cleanly. They also interconnect with each other if you’re looking to do that as well. The thick foam prevents any low or high frequency build up caused by bass and treble. 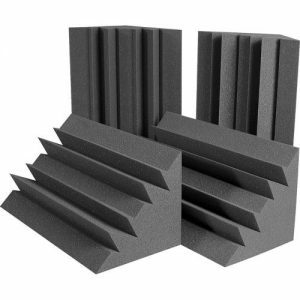 These insulation bass traps by Burdurry are perfect for any audio producer on a budget. While they might not completely reduce excess frequencies, they help dampen them enough to make them worth the buy. Many customers are excited about the high quality at such a cheap price point. Others complain that the foam feels cheap, and doesn’t hold its shape. You can’t always expect pro quality from beginner bass traps. Don’t expect a miracle cure with these, but they’ll help get you started to improve your studio. 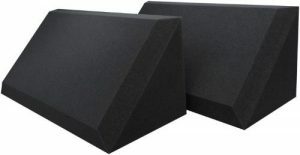 Auralex offers their SonoLite bass trap as a perfect way to reduce false frequencies along walls. Since all excess frequency hits the wall before the corner build up, it’s important to have thick bass traps placed evenly. These traps come in at 24” x 24” at 3” thick. With a unique fabric wrap, you’ll have a pretty cool aesthetic look to your studio too. Although Auralex’s SonoLite bass traps are a little bit more expensive than the previously mentioned bass traps on the list, they’re well worth a look. 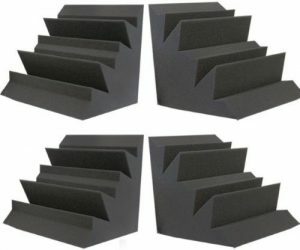 Not only do they have a better appearance (most cheaper bass traps look like cheap foam), but they also have a dense foam thickness. If a foam pad is 3” thick but far more dense than a 5” bass trap, the 3” one is valued far higher. If you’re looking for a high quality, reliable bass trap set check out the LENRD absorption bass trap set by Auralex. These massive bass traps come in at 12” x 12” x 24”, making them the thickest on the list. With high quality comes high cost, but they’re well worth the investment according to the reviews. The LENRD bass traps by Auralex are far more expensive than most of the other bass traps on this list. If you’re just starting out, or don’t know too much about what sizes you need, you should probably consider one of the cheaper bass traps in this guide. Some of the critical reviews iterate that the price point is a bit much to ask for. But many satisfied customers state that these bass traps are well worth the money, and that they provide massive help in reducing low frequencies, working well in offices, studios, and voice booths. If you are ready to step up to the professional level with your audio equipment, check out these pro vinyl covered bass traps. They’re 24” x 12” at 8.5” thick. The thickness of these bass traps is the perfect fit for covering long walls that carry low frequencies. Placing a pair of these on each wall surface will greatly increase sound clarity at an unparalleled level compared to most other bass traps in its price range of under $500. 8.5” thick foam with a bezel helps reduce frequency flaws dramatically. Vinyl cover protects the foam from damage. Professional quality at an affordable, realistic price. 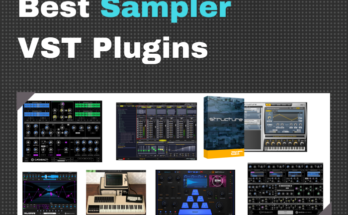 Professionals love this vinyl bass trap since it’s so cheap compared to others in its quality range. Instead of forking out over $1,000 on bass traps of this level, these are great for $500. Buyers comment on the quality sound barrier and lack of bass build up. Instead of worrying about how your room’s sounds, a set of these professional bass traps can take your mixing game up to the next level. All in all, it’s important to do your research before buying any bass traps. Professional quality can be had at a much cheaper price if you’re willing to look around. If you want a cheap beginner set to get on your feet, Foamily’s 12” x 12” acoustic bass traps are your best bet. You can fill a small room or a small vocal booth with them. Their unique design allows sound to bounce off and absorb into the foam without letting low or high frequencies to leave. When you’re ready to step up your game to the next level, check out the vinyl bass traps by Ultimate. Professional quality comes at a professional price, but at under $500, you can’t really argue. Its durability and thickness are the perfect fit for any producer, pro or newbie. Bass traps are a very important part about audio production that often go overlooked. Don’t skimp yourself on producing quality music in a bad room that will destroy your hard work.